Don't call me doctor! : First 5km in France! On September the 26th I moved to Neuilly-sur-Marne, a small town 15 km away from Paris. I was really lucky to find a nice flat to share, which is just close to a wonderful public circuit. 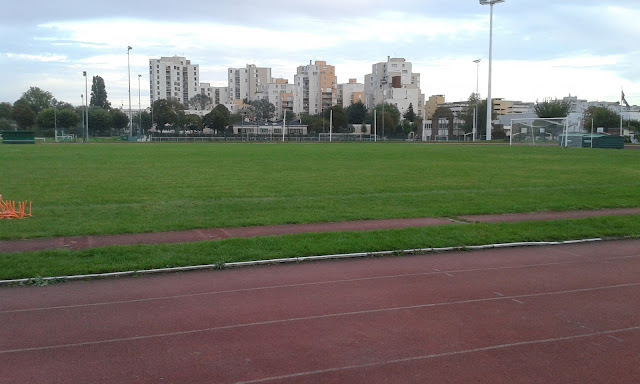 This morning I had my first 5km session after one week stop and my time was not that bad (23:15). It was a real pleasure to run among children, teenagers and adults jogging and practicing different sports. I expect the French northern weather to be less sport-friendly in the next months, but as long as the sun will shine I am gonna keep on running!